I have a poetry chapbook. I worked hard on it. It has a beautiful cover. The poems are about my brother. About loss. Grief. Violence. Memory. Mostly they are about how in one night my life and my family’s lives changed. In January 2011 I began to writing some of the poems that appear in this little book. Only a few weeks before my brother had been killed in a very violent way I made the difficult decision to return from California to New Mexico to go back to my MFA program. I’d had signed up for a poetry class with Dana Levin not having taken any poetry classes but it ended up being the best thing for me. I had been advised by a few people that it might be too painful for me to workshop material that was so new and from such a traumatic place. But there was nothing else I wanted to write about. Nothing else mattered. Poetry helped me get up in the morning. It helped me focus. The first words about my brother were raw and untamed. They came out in waves. But it was in that poetry workshop and others that followed that I learned to sculpt and craft my words. While it was often difficult for me to write the first draft of many of these poems, writing and revising them have given me unexpected pleasures and satisfaction. 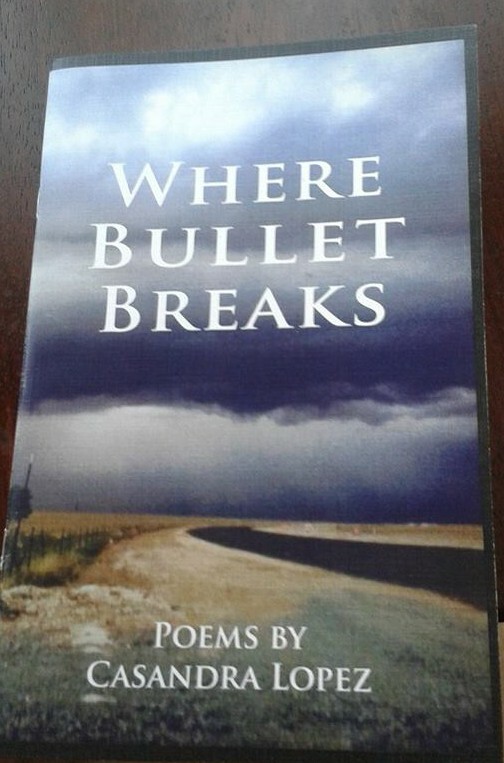 Last summer I got a call that I had won the Native Writers Chapbook Award from the Sequoyah National Research Center right as I was going to begin teaching an energetic group of Native high school students on the University of Colorado Boulder. Winning was unexpected but a happy surprise. Nicole Brown at the University of of Arkansas at Little Rock worked with me on the chapbook. She did some fine editing and was able comb through the two different submissions I sent into the contest and pull it together into something I’m proud of and is coherent. If you are not going to being seeing me anytime soon but you would like to purchase my chapbook then you can send $13 through paypal to my email address (casandramlopez@gmail.com) and I will send one out to you. Thanks for the support.